How you view yourself is often the catalyst to how others view you. Being confident and strong often tells others that you are someone who is caring, able to work hard, and who takes pride in their strengths. But, honing that person and becoming someone you are proud to be takes work, and it’s not always easy work. It takes patience, and being surrounded by the people who make you better, every day. Alyssa describes herself as humble, quiet, and nice, and I love that. It’s a very accurate picture of this extremely kind, thoughtful, and soft-spoken senior from Lompoc High School. She loves staying active, and plays volleyball and water polo, as well as swimming. 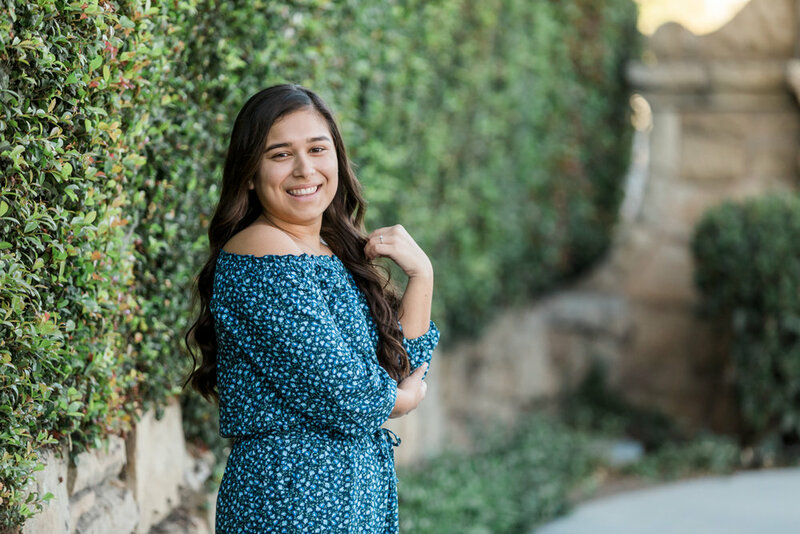 Traveling with her water polo team is a treasured memory from high school, and the one that she cites as the best highlight! In her spare time, she enjoys spending time feeding the homeless with her local church. Other favorites of hers include drinking tea, going to the beach, and spending time with animals. She plans to attend college (she adds that it will greatly benefit her life), and become a veterinarian to help animals in the future. When it comes to personal style, Alyssa says hers is very laid-back and casual and jokes that it is sometimes even “lazy”. 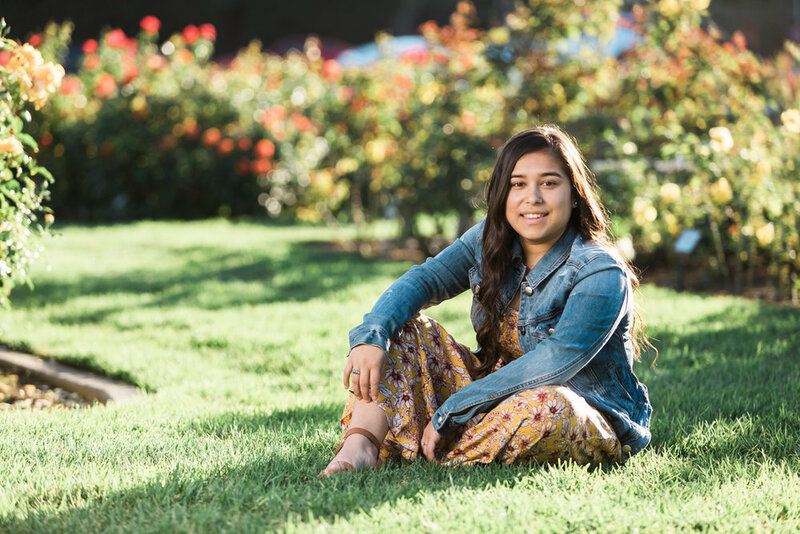 But for her senior session, she pulled out all the stops and brought along the prettiest, dressy outfits that accented her long dark hair, and elegant features. Her off the shoulder jumpsuit was one of my favorites, and she paired it with flat sandals and a long pendant necklace that made it a truly cohesive look. We were also able to celebrate all her athletic achievements with the second-to-last image, that I hope she can look back on in years to come, and remember all of her many successes! Sports are such a huge part of the high school experience for many of my seniors, and including their uniforms, varsity jackets, or other equipment really makes sure those years are memorialized with more than just smartphone snaps. If sports aren’t your thing, let us know what is! Whether it’s books, art, or music, we can incorporate special props if you’d like. Reach out to us today to get started on the booking process. We can walk you through it, from the first moment until we hand over your products!